Any financial market trader knows how vital a trading formula is. According to one of Wilkins Finance’s top financial advisor, every trader should have guidelines on how to go about placing trades and closing them. After, all that is what a trading formula is all about. It is also referred to as a trading strategy. As a trader, you will have to have a way of knowing when the time to place a particular trade is ripe and also know when it is time to close the trade. This what trading entails. It is not just clicking buy and sell buttons haphazardly. No! There has to be a reason for placing and closing of every order. Most traders dwell too much on when to place an order and forget that they should also concentrate on when to close the order. Closing an order at the wrong time will result in reduced profits and, at times, even losses. Let us look at an example. Assume that you place a buy on the EUR/USD at 1.34567 and the market moves up to 1.34723. You decide to close the order at that level only to realise that the markets are still moving up and the bullish trend seems to be strong. You will have lost the opportunity to make more profits. If you would have made your market analysis well, then you would have waited for the trend to give signals of changing to bearish. Only then you would have exited the market, thus maximising your profits. However, you should also not ignore any signal indicating a change in the market conditions. Assuming that you ignore such a signal, the market trend will change and your profits will end up being losses. When coming up with your trading formula, you will have to put all this into consideration plus many other factors. We are going to discuss the process of creating a formula for successful financial market trading and the psychology behind it. First, you will have to choose the markets that you want to trade. It will help you to come up with a formula that is best suited to the market. Remember that all markets do not behave in the same manner. 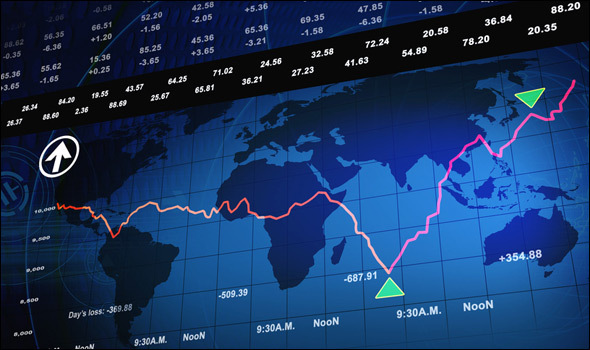 Forex markets are different from stock markets, derivative markets or cryptocurrency markets. Some markets are more liquid than others. Also, some markets are more volatile than others. For the volatile markets, they have larger daily ranges compare to those which are not very volatile. Therefore, volatile markets would be better for short-term to intraday trading while the less volatile markets would suit those traders who want to do long-term trading. With, the market, you should go ahead and choose the specific assets you aspire to trade. For example, if you decided to trade the stock markets, you should choose the particular stocks that you want to trade. If it is the Forex markets, you should choose select currency pairs and mostly the most traded currency pairs. Whichever market you decided to trade, pick a few assets that you want to trade. Next, find a way of getting the trading signals. If you want to automate your trading process, then the trading robot will be responsible for creating and executing the trading signals. But if you are trading manually, you will have to choose the specific indicators to use or enrol with a Trading Signal service provider to provide you with the signals. You should ensure that the indicators that you choose will give you both entry points and exit points. The same applies to the signals that you receive from your signal service provider. Since you might not be in front of the computer all through, you should place stop levels at the exit point given. With all the above, you will be good to go. But remember to test the strategy on a demo account for a period of time to analyse its results (whether it is making losses or profits). On the demo account, you will be able to see if the strategy is profitable or not. If not, do not tire of changing it until you come up with a profitable trading strategy.